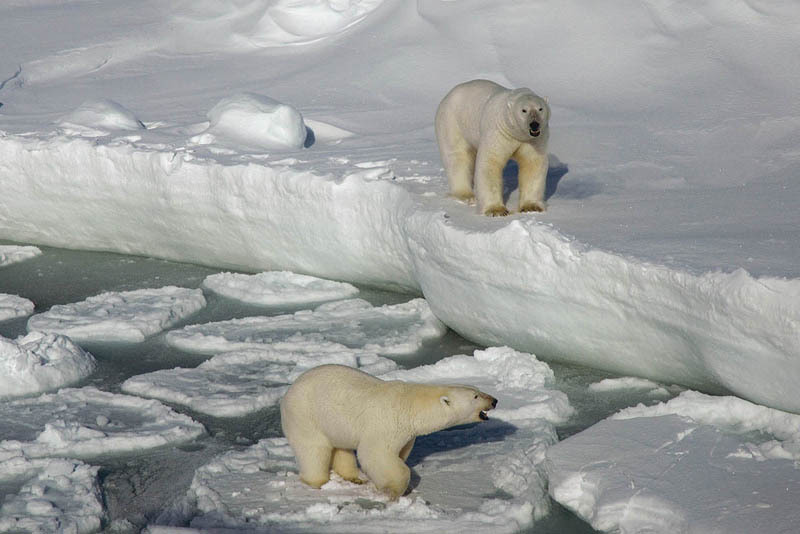 Imposing access restrictions on popular fjords where numerous polar bears have been observed is being considered by The Governor of Svalbard due to high numbers of snowmobilers, some of whom are violating rules prohibiting disturbing the animals. 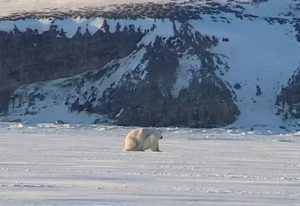 Bears have been observed recently in Billefjord, Tempelfjorden, Van Mijenfjord and other fjords, according to the statement. An image of polar bears mating from a video shot by Yann Rashid during a trip to Pyramiden last week got nationwide media attention. He stated the distant and blurry quality of the video was because he filmed it at a considerable distance. Yann Rashid, whose posted a video of polar bears mating last week that got widespread media attention nationally, wrote in a Facebook post Wednesday he won’t be surprised if access restrictions are enacted.